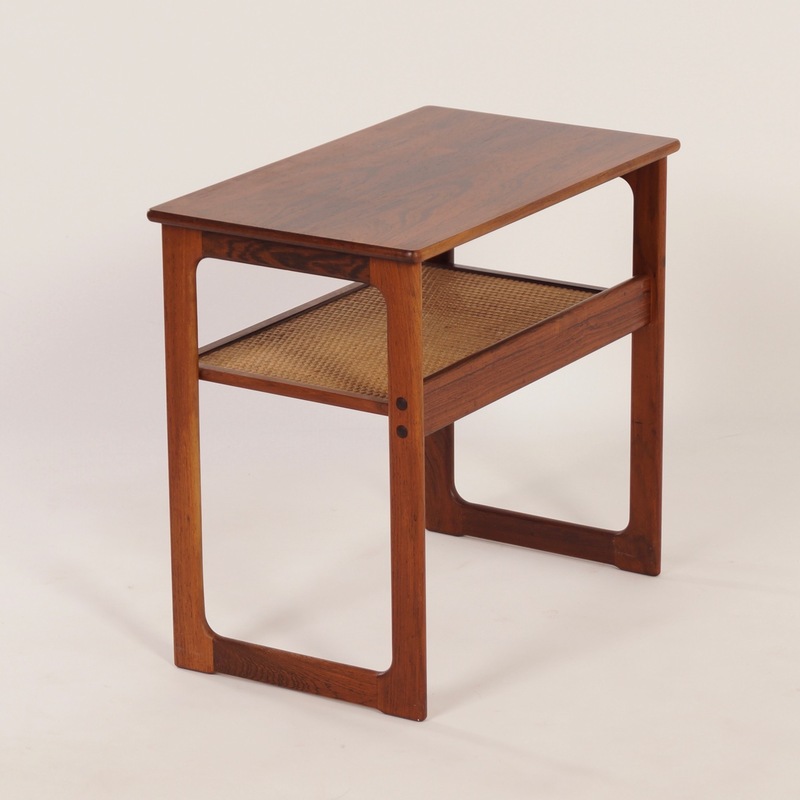 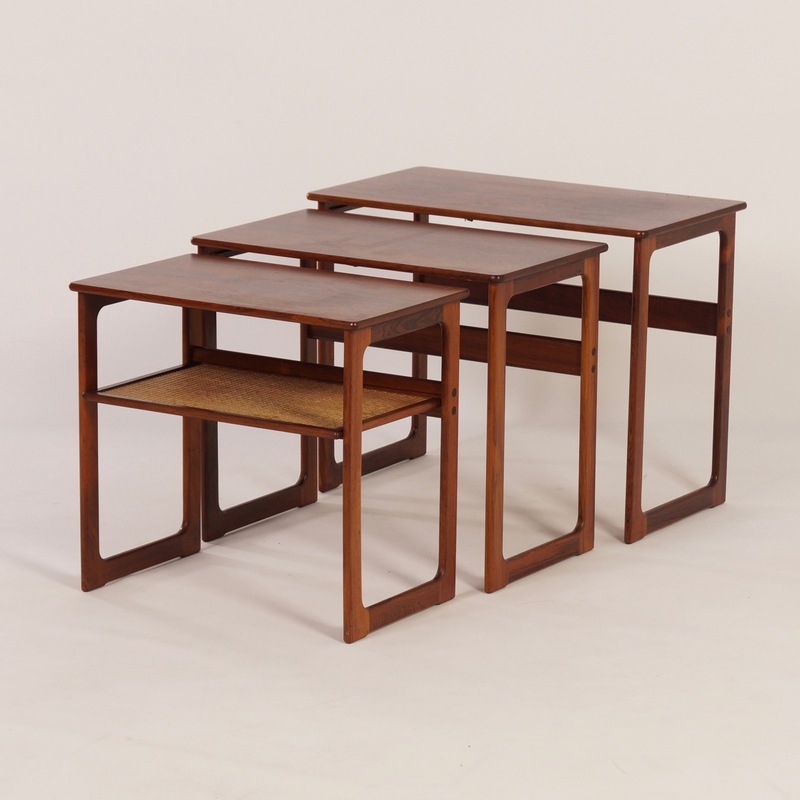 Danish Nesting Tables by Andersen & Wikkelso for CFC Silkeborg, 1950s. 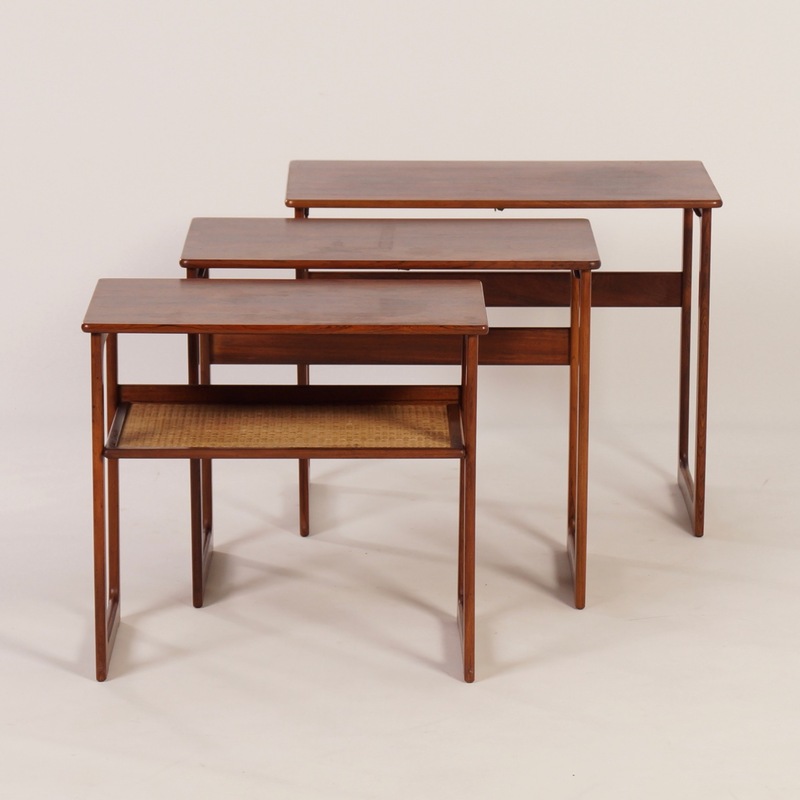 Danish Nesting Tables by Andersen & Wikkelso for CFC Silkeborg, 1950s. You are here: Home » Vintage Furniture, Lamps and Accessories » Furniture » Tables and Desks » Danish Nesting Tables by Johannes Andersen & Illum Wikkelso for CFC Silkeborg, 1950s. 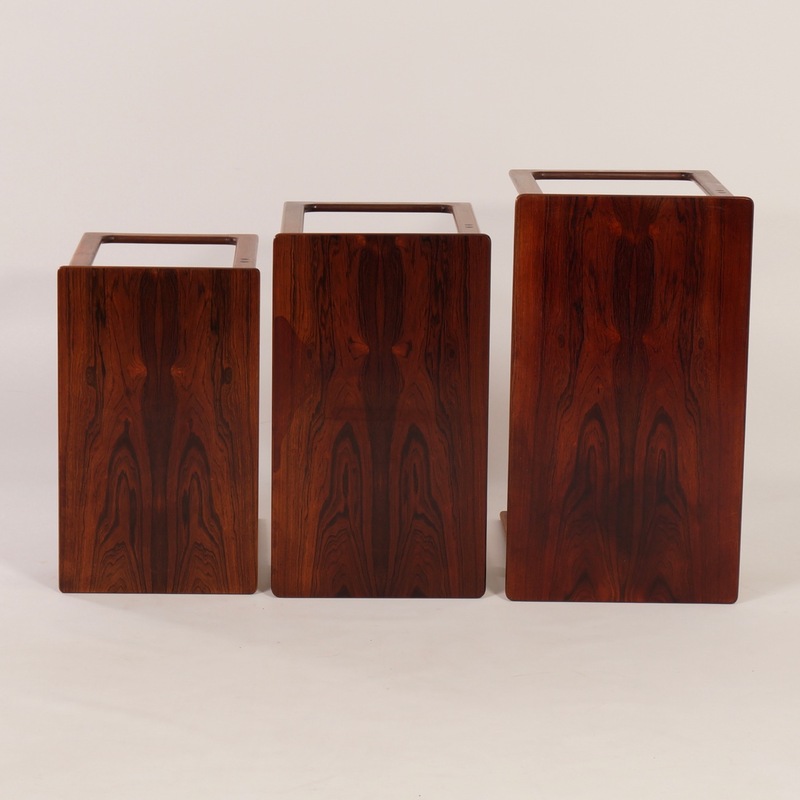 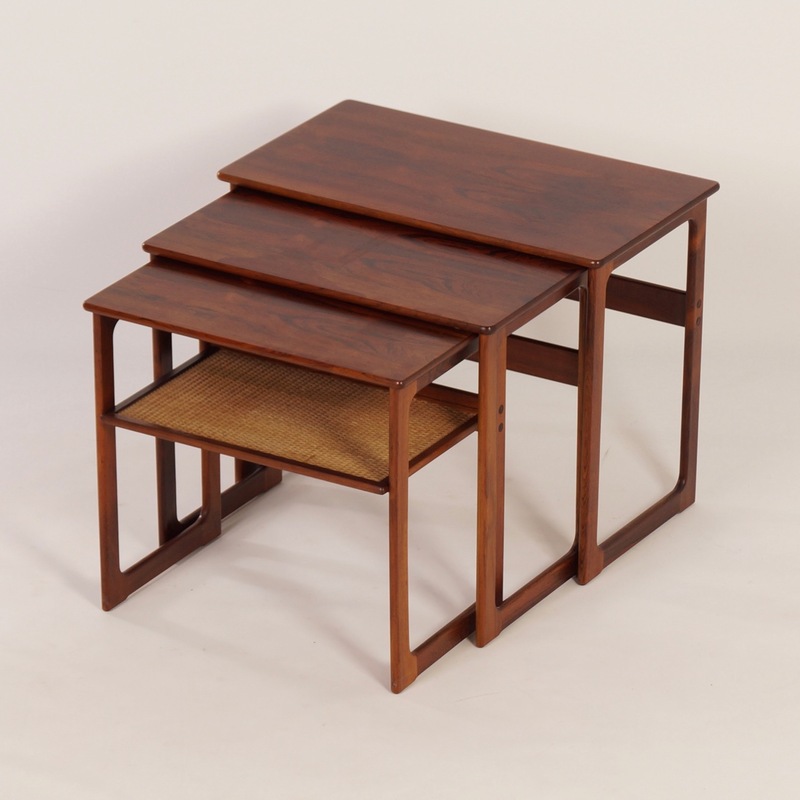 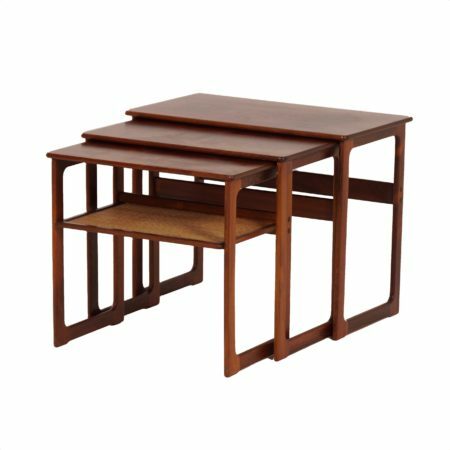 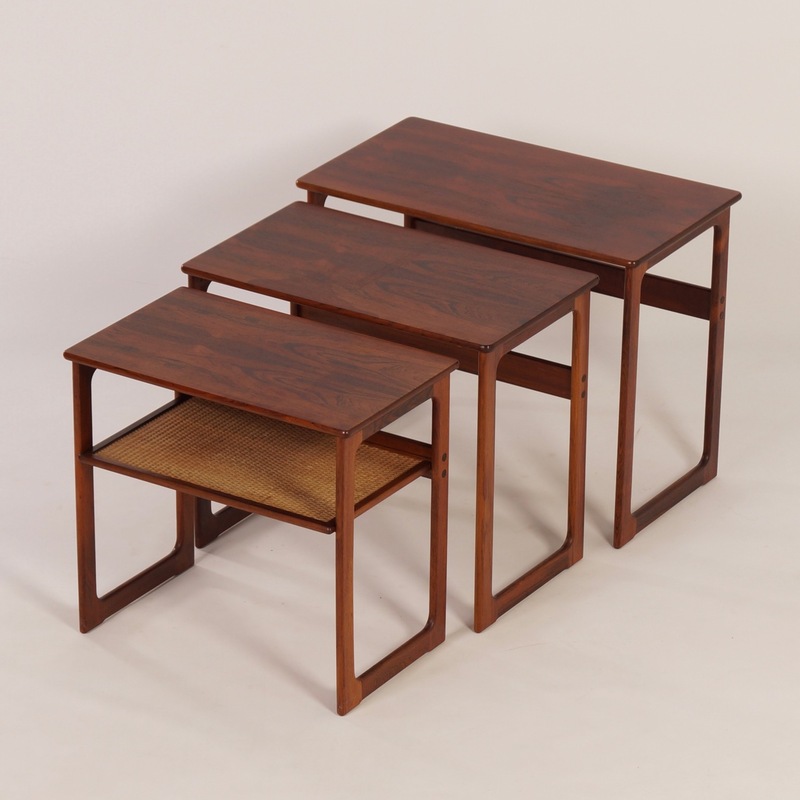 Rare set of three side tables designed by the Danish designers Johannes Andersen & Illum Wikkelso, for CFC Silkeborg in the 1950s. 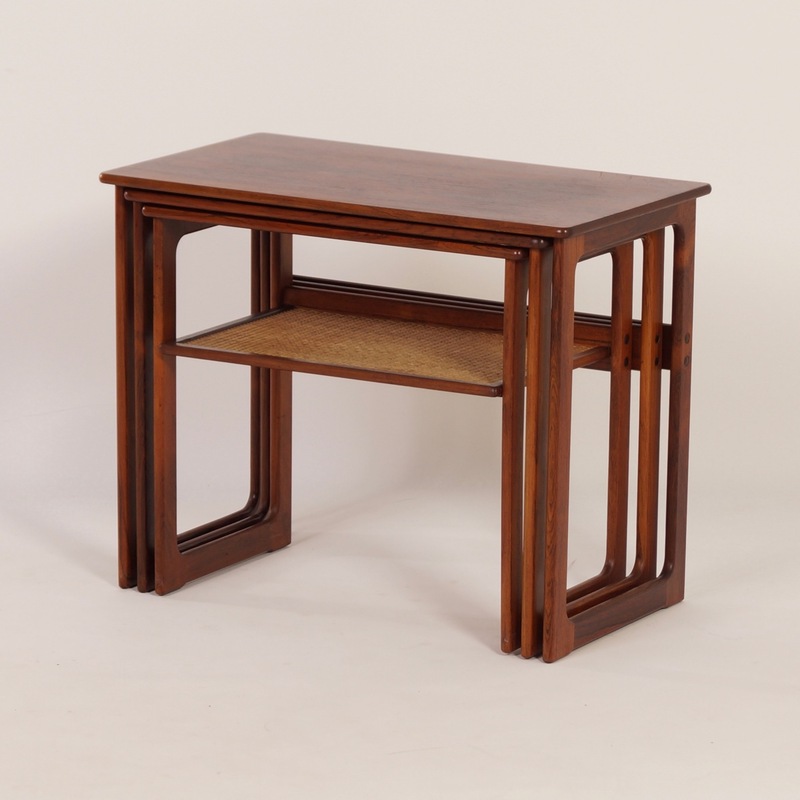 Very nicely made of beautifully shaped rosewood wooden frames and one with a rattan shelf. 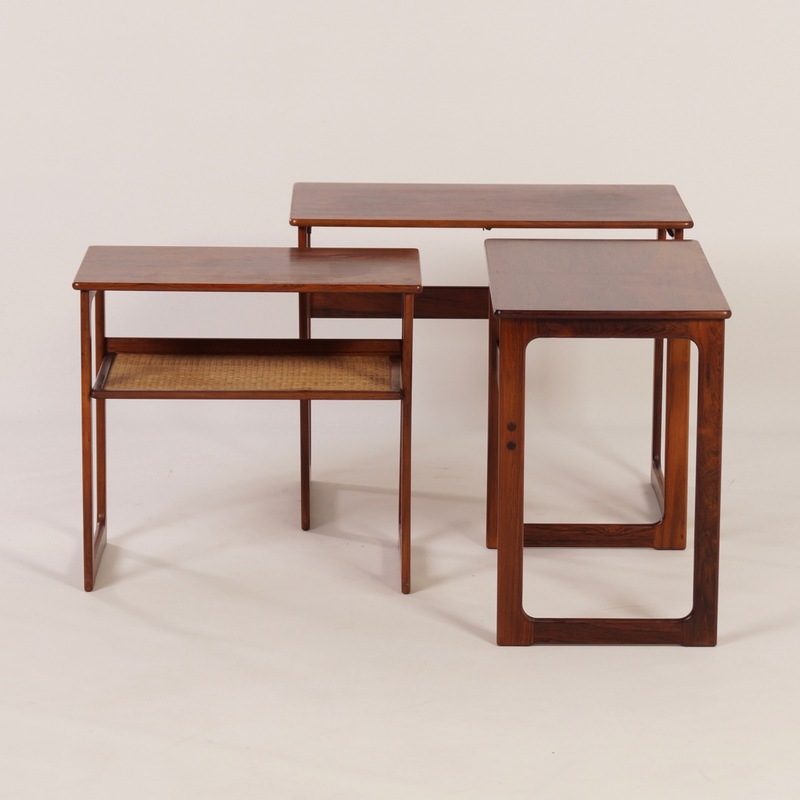 Considering its age still in very good and original condition, some normal traces of use such as (see photos). 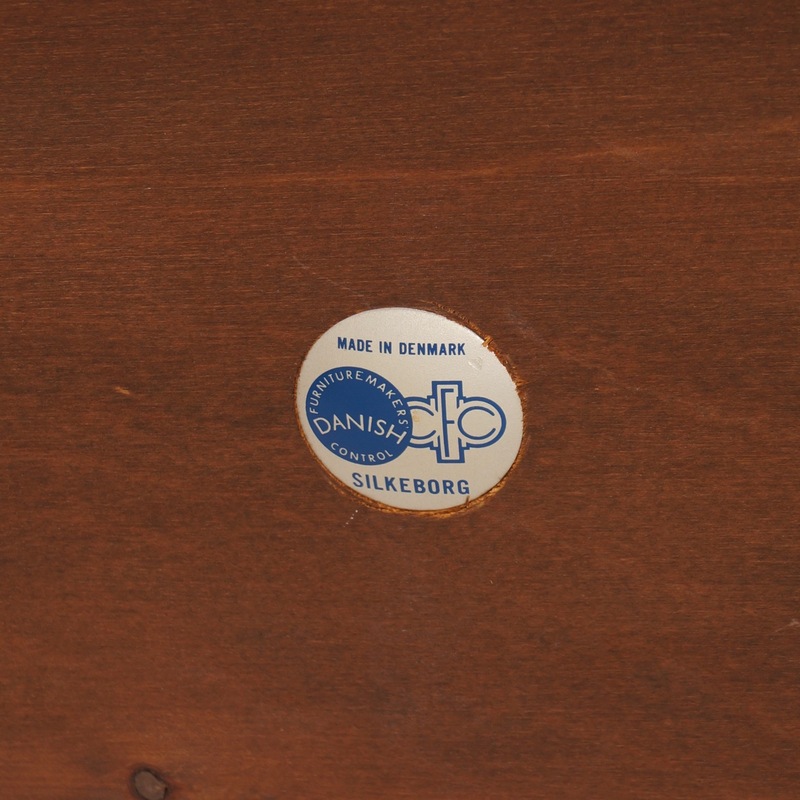 Marked: CFC Silkeborg, made in Denmark. 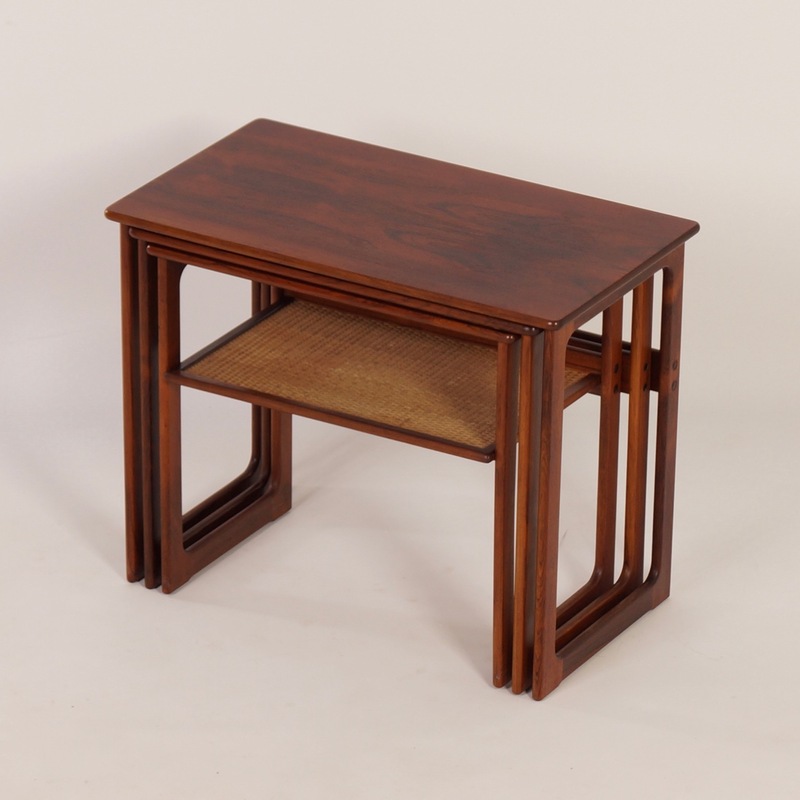 Dimensions: h x w x d = 52 x 65 x 37.5 cm. 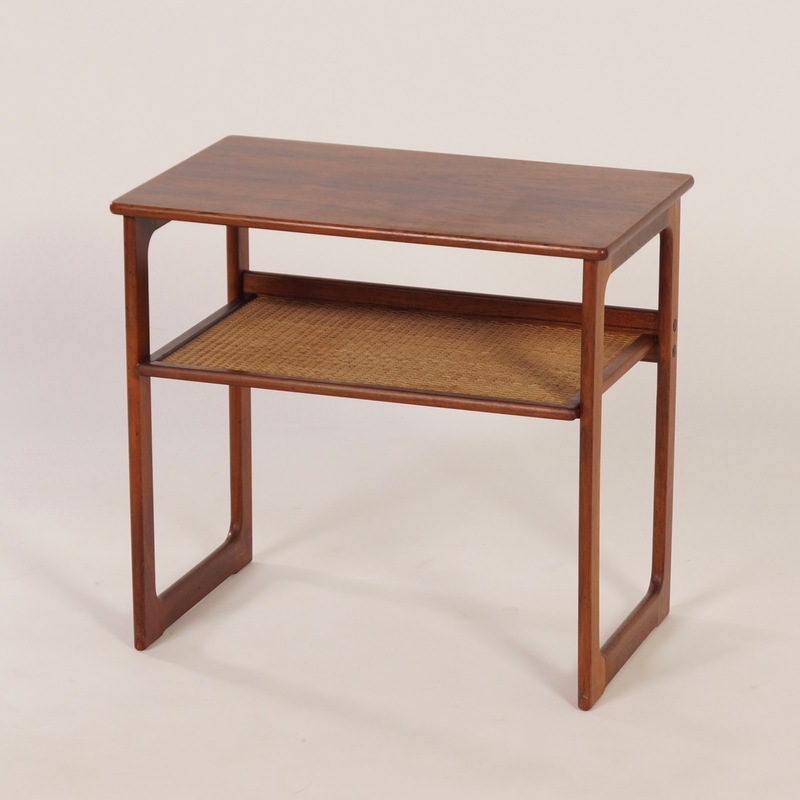 Material: Rosewood and one shelf with rattan.